‘Education in times of Turmoil’ was the title for the symposium hosted for students and staff in celebration of UWC Day and Peace One Day on September 21st. 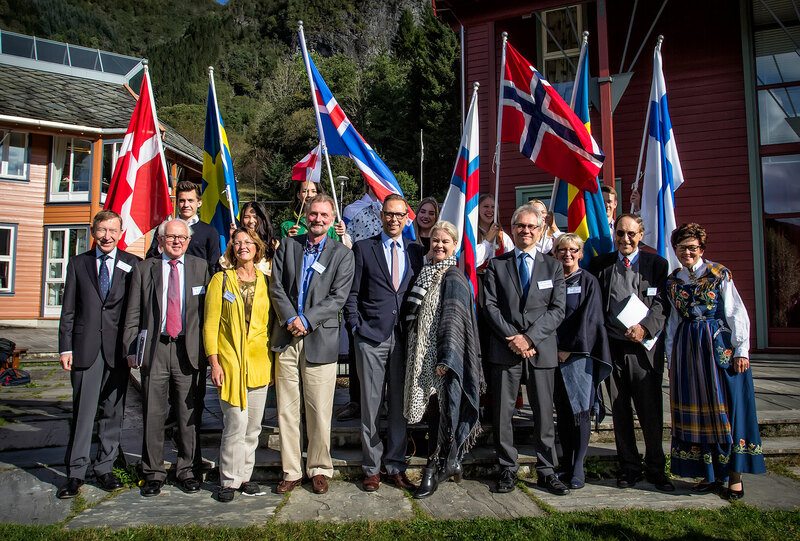 The Ambassadors to Norway from all the other Nordic countries were in the panel for the event. There was a focus on how a whole generation in war-torn areas are now at the risk of missing out on education entirely. The Nordic countries are providers of substantial funding for schooling in conflict regions as part of their foreign aid. ‘It is essential that we contribute with what we can for this work’, was a message from the ambassadors. We hold this annual lecture, in celebration of UWC’s former Honorary President. Mandela’s life was an inspiration for the UWC movement and its values of peace and sustainability – and indeed he was, in many ways, the embodiment of our mission statement – perceptively and memorably reminding us all that ‘education is the most powerful weapon which you can use to change the world’. For Rektor Richard Lamont’s welcome address to the Ambassadors and introduction to the lecture, please click here. This was followed by two student performances – a Scandinavian folk song and a Bollywood dance. Ambassador Axel Wernhoff delivered a highly stimulating and thought-provoking lecture which, in turn, initiated a series of perceptive and thoughtful questions from students in the audience. For some photos from the day, click here. This past weekend, RCN was host to 16 universities and Colleges from North America. Students were able to attend a series of presentations that covered topics, among others, concerning conduct on their campuses, making the right college choice, writing a Personal Statement and applying for Financial Aid. 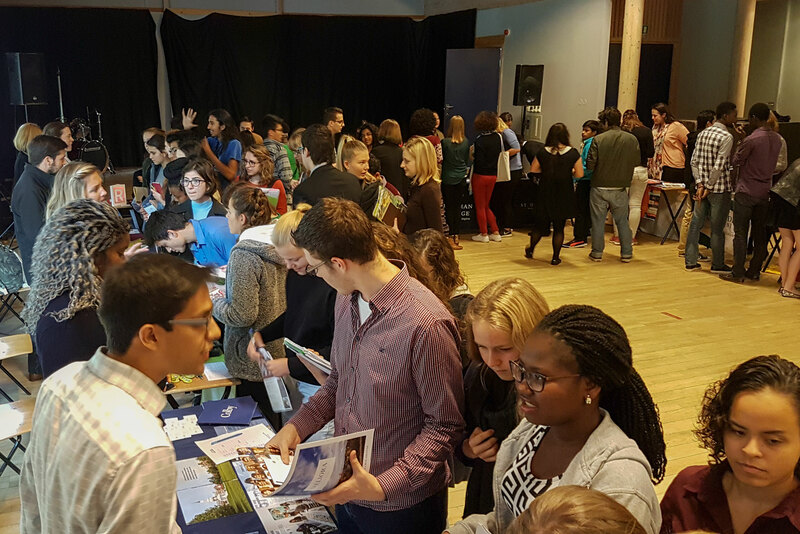 On Sunday, students attended a College Fair where they were able to mingle with the 16 college and university representatives. They also had the opportunity to sign up for individual meetings with them. The unprecedented level of attendance impressed the visitors greatly, and all involved confirmed that the weekend was a roaring success! 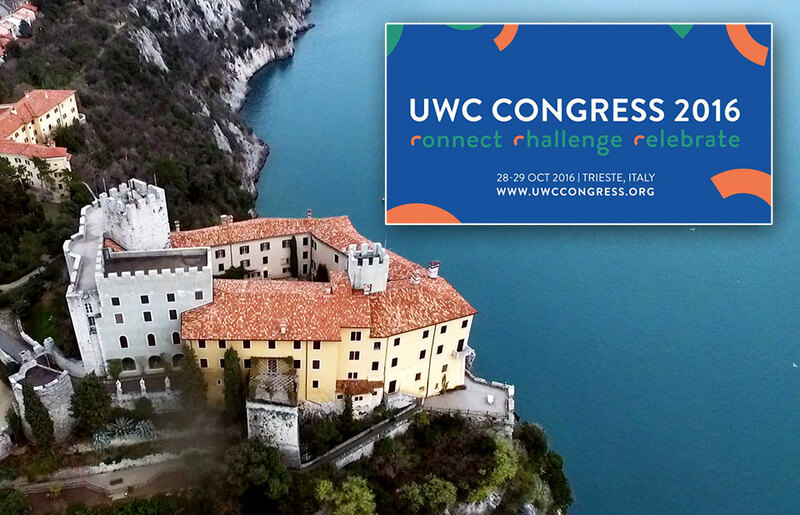 UWC is inviting the whole community to participate in the UWC Congress 2016, which will take place on 28th and 29th October in Trieste, Italy. The UWC Congress is the biggest UWC event and brings together members from across UWC – current students, alums, current and former staff from all UWC schools and colleges, national committee volunteers, governors, donors – alongside friends and supporters of the UWC movement. Inspired by the words “Connect, Challenge, Celebrate”, the UWC Congress will represent two days of celebration, challenging discussions and connecting and reconnecting with new and old friends, and the UWC mission and values. The programme includes more than 60 sessions along four thematic streams: Education, National Committees, Engagement & Outreach and Growth & Financial Sustainability. Participants will reflect about the role of diversity and education in today’s world, discuss key issues and questions UWC is facing today, including challenges and opportunities for the movement, and feed into relevant parts of the next UWC strategy. These experiences led me onward to focus on Anthropology for my undergraduate studies, and branch out into Forestry for my masters degree. I had a strong interest in geography and sustainable development while I was at RCN, and having lived with students from over 80 nations, I wanted to understand more about how human societies and cultures work. My love for folk dance and music led me to write my undergraduate thesis focusing on Fjaler, and I traveled back to interview members of the local dance group and the folk orchestra. Their enduring friendship, support and welcome is something I treasure very much. It makes this place feel like a second home. The time I spent outdoors here also deepened my love for nature and sparked a curiosity about the relationship between humans and the environment, and how natural and social systems interact. This is, in fact, what I see myself doing for a long time to come. I am currently working as a geospatial analyst at Yale University, for a research group focusing on land management and ecology in the American West. 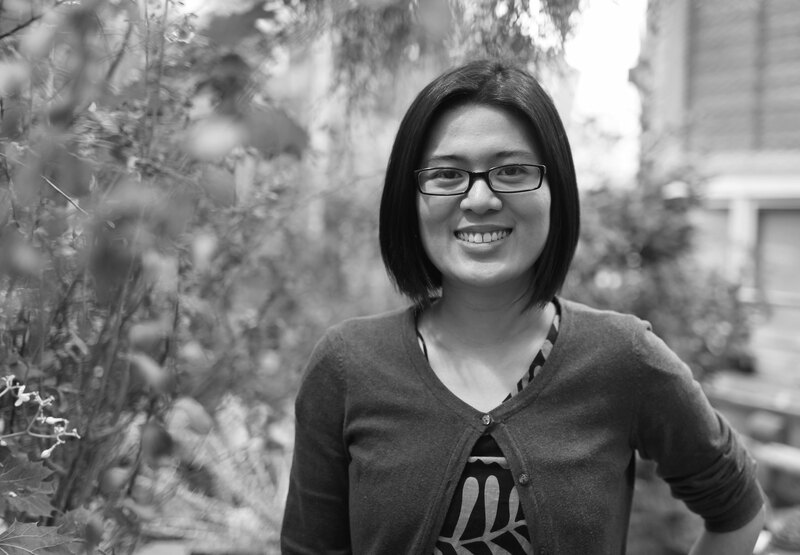 I make maps and analyse satellite images, and might also be found outdoors gathering data from the field. I will also use my anthropology skills in understanding the social landscape of the place we are working in. While I was a student at RCN, some classmates and I were part of a humanitarian and education focused student group called DROP (which stands for Do Remember Other People). This simple motto is something that has followed me after leaving. One thing I learned from our fundraising efforts selling souvenirs donated by classmates, or coffee and cake in the Flekke shop, was that change can start anywhere. Indeed, one person or a small group of people can make a big difference. As someone who has been given tremendous opportunities through the education I have received in my life, I hope to put these skills and knowledge to good use in time to come.